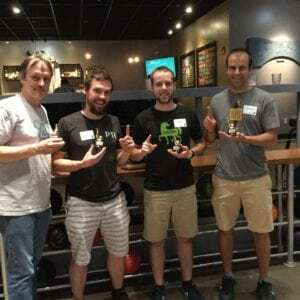 Sixteen local Extra Life teams gathered at Bayside Bowl on September 21st for the first ever Extra Life Bowling Tournament to benefit The Barbara Bush Children’s Hospital. 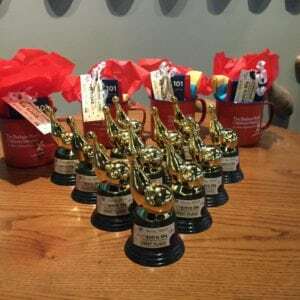 The event was designed to be a “friendraiser” and bring together more than 50 local gamers who have committed their time and passion for gaming to support BBCH in past years. 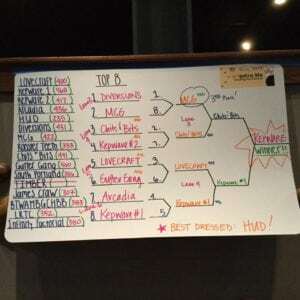 Congratulations to Team Kepware (Pictured below and also known as our Extra Life Local Hero sponsor) for taking the highly coveted 1st place trophies home!